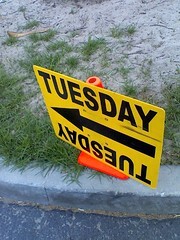 Today is Tuesday, and Tuesday is video day (Check the blog schedule on the about page for what happens on other days). I saw this link on Twitter and had to share it with you. The video is 4 guys from Kenya looking at how Africa is portrayed in Hollywood, they do such a good job, I love it. Hope you enjoy it. Stereotyping is so easy to do, that we can almost always find ourselves doing it to various degrees. The creators of this video, Mama Hope, suggest that education is a way to stop stereotyping, and I agree. I also think building relationships with those that we stereotype is a good move. What other ways can we do away with stereotypes and engage people on a genuine basis? Have you got any stories of people that you have put in a box only to find that they don’t fit? I hope the machine guns don’t come out after losing their soccer game!